Characterization and Identification: What are the hazards? Who is exposed to the hazards? What controls are already in place? Exposure Assessment: Select exposure limits and determine if the current level is acceptable or not. Exposure Controls: If not acceptable, choose hazard controls. Hazard Communication: Clearly communicate the dangers of hazard exposure. Reassessment: Evaluate and make changes as needed. Physical Hazards: Extreme temperatures, ergonomic hazards, high noise exposure, etc. Chemical Hazards: Toxic and corrosive materials and substances. Biological Hazards: Biological agents that can harm human health. When an OSHA industrial hygienist discovers a hazard in the workplace, the next step to select an appropriate means of controlling it. Applicable control methods form what is called the Hierarchy of Controls, ranking the most effective solution to the least effective. The best option to controlling a hazard is to completely eliminate it from the facility followed by substituting it with something less dangerous. The next set of controls are engineering controls (like machine guards) and administrative controls (such as employee training). Finally, the last line of defense, but still extremely important, is the use of PPE. 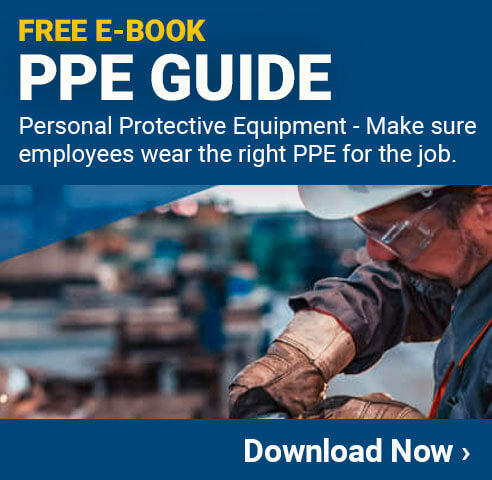 PPE is not the only form of protection a worker should have, but it is still critical to supply it for workers.